No internet connection? No problem. From farms and quarries to car washes and parking lots, many businesses don’t need internet connections to perform their regular daily functions. If your business is among those that forgo internet access, you may think that you’re out of luck when it comes to installing a security camera system to oversee your workplace. Never fear – we offer wireless point-to-point network solutions that can help you meet your surveillance needs without internet access at your location. Read on to learn more about our wireless solutions for securing your business even when you don’t have internet access on-site. Put simply, a point to point (P2P) network, or in other words a Wireless Distribution System (WDS) in “Bridge Mode”, consists of two antennas at separate locations that are used to establish a wireless network connection between the two. 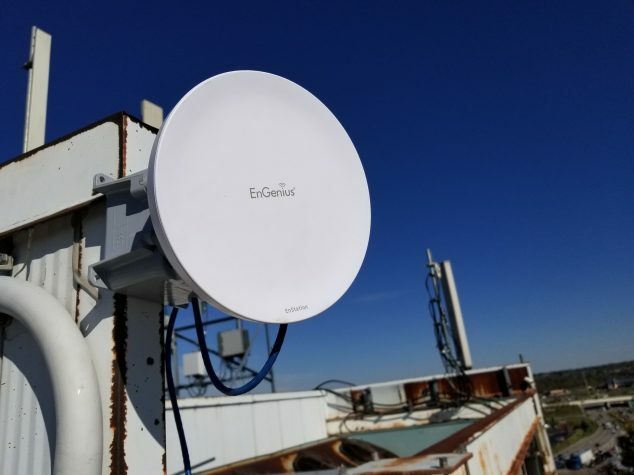 At your business, a transmitting antenna allows you to receive a wireless connection from the receiving or access antenna on another building with internet access. The antennae allow the signal from your cameras to be transmitted for storage of your video on the backup medium you’ve selected. From network video recorders (NVRs) to video servers, we can meet all of your video storage needs while installing the antennae that provides the internet access needed for your cameras. The only significant limitation for wireless P2P networks is the need for a clear line-of-sight between the access building and your location. Obstructions like hills, trees, or other buildings hamper or remove the ability for this kind of connection to be established. As long as that is available, wireless connections like these can communicate and transmit your surveillance footage for many miles. We recently installed a security camera system at a car wash located a half a mile away from our building in Middletown. The car wash did not have internet access but did have a clear line-of-sight with our building. We were able to establish a wireless P2P connection that meets all of their security video needs and allows their cameras to function properly. Another requirement for establishing a connection between the access antenna and your location is the need for power. You must have access to a power source anywhere you want to have security cameras installed. That said, if your location does not have electricity, we can offer access to solar power for your security needs. These solutions are cost-prohibitive for most small- or mid-size businesses, costing at least $10,000 per connected camera. However, if your budget allows, this is an effective solution for business sites that lack access to traditional power sources. Wireless connectivity technology has come a long way in recent years. Installations in areas that were not economically feasible (and sometimes impossible) just a few years ago are now achieved with relative ease and speed. You can ensure the security of your business while staving off much of the expense that previously accompanied establishing camera coverage of multiple locations and those without internet access. Trenching was once a common requirement for establishing connections between cameras in separate buildings or to establish an internet connection if one of the buildings that did not have access. Trenching is expensive, especially if existing structures like parking lots or sidewalks block your trench line. As long as you have power on both buildings and a line-of-site between them, we can install transmitting and receiving antenna to allow your security cameras to operate smoothly on the same network. 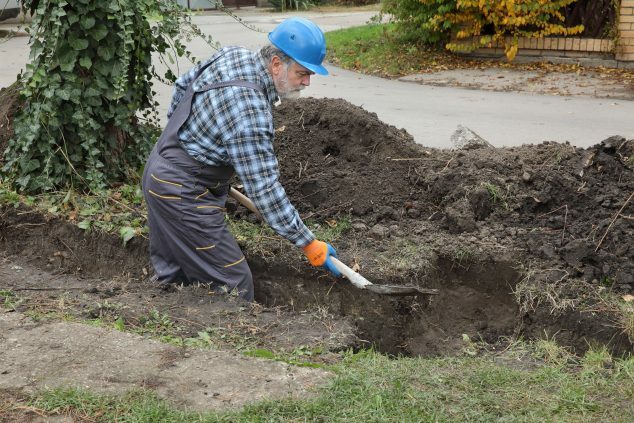 Removing the need for trenching also means that you don’t have to wait for warm weather to complete your security camera installation projects. Using wireless P2P networks, we can monitor parks, large corporate campuses, and parking lots – even entire downtown city areas can be monitored with camera systems connected wirelessly back to a city building. Not sure if a wireless connection is the right option for you? Our free one-hour site visit and consultation is the ideal opportunity for you to discuss your concerns with our camera security experts. If you’re looking a one-stop shop for your security camera needs, look no further than the experienced professionals at Camera Security Now. Our camera service installation professionals deliver the camera solutions that your company needs, helping you ensure the security of your business, employees, and customers. To find out how easy it is to keep your company secure, request a quote today. Reminder: Are you still using Analog Cameras? Upgrade to Digital IP to take advantage of much higher resolution–before it’s too late!